I have been considering campaigning Busaba to come here but worried I’ll end up disappointed like I have been with Itsu. Maybe everything tastes better in London than when it’s on your doorstep. 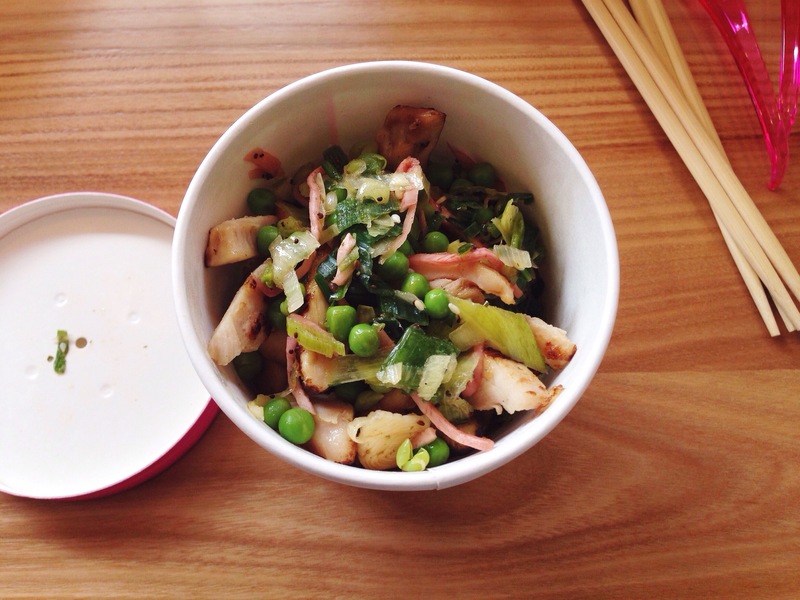 Some of Itsu’s prices seem pretty good but I always end up with something a bit claggy (rice and salmon) but can’t justify the price for the fresher looking salad dishes that I would really like. (I have a bad habit of looking at the calorie content and going for the highest and avoiding dishes I know will leave me hungry). A fair review I think. Agree the staff are very nice. I know what you mean, I always worry that once chains expand to the stage where there are plenty of them outside the capital they lose what made them special. I’d have reservations about Leon or Busaba opening here for exactly that reason. I felt like you chose the wrong sushi dish to review. If you wanted to get a taste of itsu greats you should have chosen the ‘it box’ it has a selection of all the best- with maki and nigiri covering salmon, tuna and prawn bases. 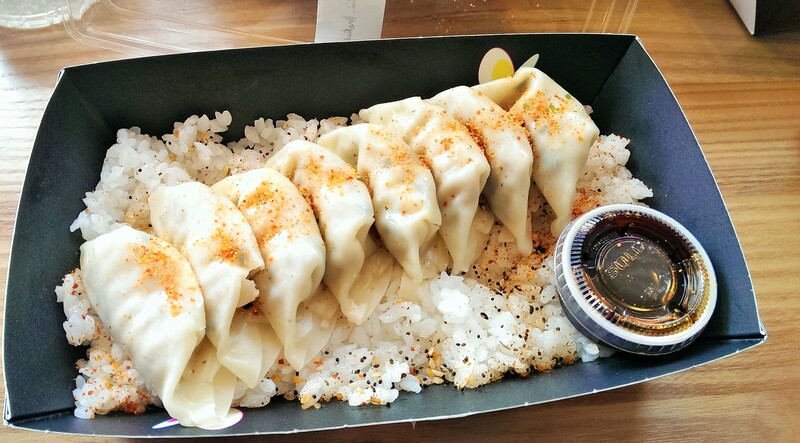 I eat itsu quite regularly and trying a lot of the sushi boxes I’d say this one leave me happy and satisfied I’ve eaten all the good bits. I would agree with you on price- having a selection of dishes can add up but not many people are aware (and I’m not sure I should share) all itsu branches have a 50% sale 30 minutes before they close- I assume this is to sell off the stock as everything is freshly made each day. I often will buy a selection of dishes at this sale time for the next day a way to be both healthy and economical. I really see the inclusion of itsu to Reading’s high street as a turning point- as the fated Crossrail looms over us Reading will likely see a transition from a strada/ pizza express epidemic to a more varied selection of eateries to suit a London suburb. In the 4 years I’ve lived here I’ve enjoyed the cafe boom I look forward to more ‘individualised’ chains joining the evening food Reading scene. I’m still hoping and praying for a Franc Manca (FYI the most amazing sourdough pizza)- they’ve saturated the London scene they should try Reading as their next stop. I also agree Leon and Busaba would be great additions. Perhaps these places may open up in the huge new expansion of the buildings near the train station. It seems all the nice eateries in London often cluster near major train stations (London Bridge for example) as these are the gateways for healthy eating convenience consumers. That’s a really interesting perspective, especially on the effect that Crossrail might have on dining here in Reading. I too love Franco Manca, I’d be delighted if one opened in Reading. You might be right about the sushi, but I was struck (and still am) that it’s too expensive for lunch but not quite enough for dinner. Plus I’ve never much enjoyed nigiri and too many of their bigger selections are very nigiri heavy! Healthy eating – I think not. What’s with the fat free yoghurt? When will the British public cotton on to the fact that good fat is GOOD for you? Sugar (carbs) are the enemy. Feel disappointed. Well, in fairness it probably is fairly healthy – especially sashimi – but it just didn’t float my boat. 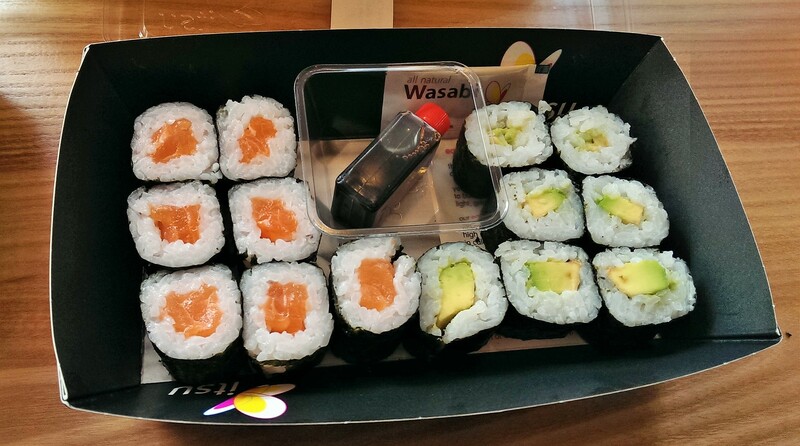 I have not tried the Itsu in Reading, but tried it in London along with Wasabi. Sorry, I just do not get it. The sushi is fine, if that’s what you want for lunch. For Sushi I get my fix from Sushimania. I don’t see the attraction of an oriental place where the food is sat on a shelf!! WHY?? Even the soups sit on the shelf at the back, and yesterday I had the Chicken coconut soup and it was pretty Ok.. There was no texture to it, it was like a packet soup. The chicken was non existent and vegetables were token. I am sorry, it is a wasted concept for oriental food. Wok to Walk is what I was rooting for in the UK. They are very reasonable in Europe, but I have seen their UK branches and they are super expensive. So For the time being, for me, a fresh cook stir fry and soup individual shop is what I want in Reading.. No franchise.. because I know what happens, good to begin with, and down hill after!! Sushimania is okay as long as you have plenty of time to kill – especially at weekends when you can get very hungry (or very drunk) before anything arrives at the table! I always thought there was something a bit showy about Itsu.. Now I know its all style over substance! Not good.. After that Russian spy died after eating at one, I’ve been a funny about eating there..